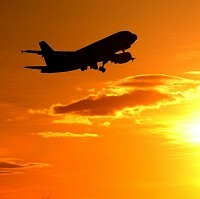 The UK's travel industry is experiencing a surge in enquiries for holidays, flights and travel insurance as people seek to get away after the excitement of the Olympics. Demand for trips over the next four weeks - both overseas and in the UK - is high, and looks set to continue for the rest of the summer, according to industry experts. Laurence Hicks, director of tour operator and holiday rentals firm CLC Leisure, commented: "The end of July and beginning of August were relatively quiet but suddenly we have seen this massive upswing in booking and inquiries. "Either we Brits don't want the party to end and intend to carry on celebrating the success of Team GB with a holiday or we are worn out by the emotional extremes of watching the Games and need a break." Mr Hicks said he had expected to see a late-booking trend as people stayed put so they could soak up the atmosphere of London 2012 and "be part of the once-in-a-lifetime experience", but added that the sudden rush had "exceeded all expectations".